This Trident was professionaly restored and rebuilt some years ago. 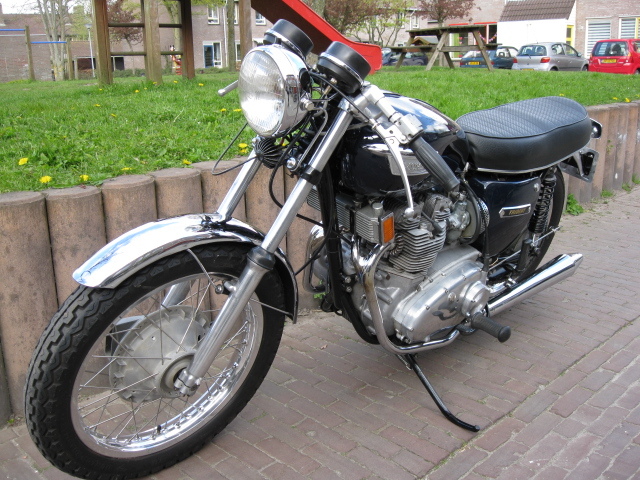 The bike is in a beautiful condition with a real "seventies" look. Has aluminium Akront rims with stainless spokes an clip-on bars (original one also with the bike) Pipes are Norton S-pipes with great sound. Skocks are KONI's Comes with Dutch registration.